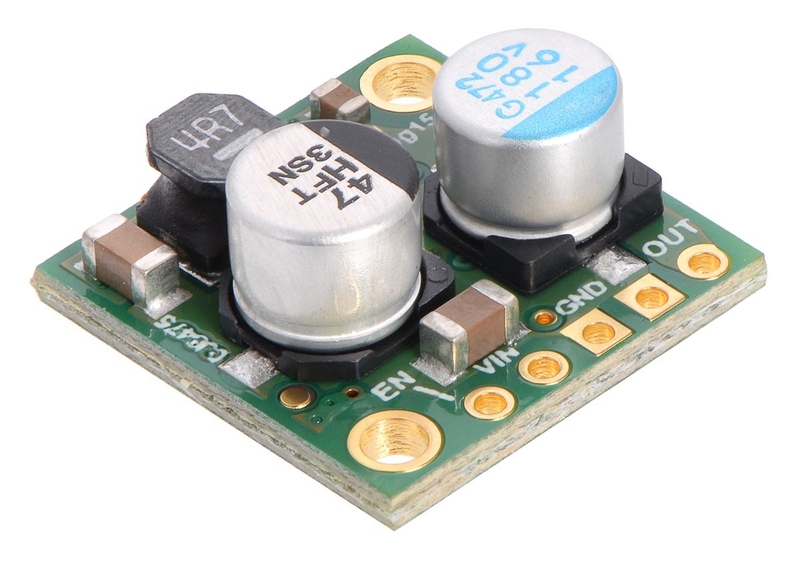 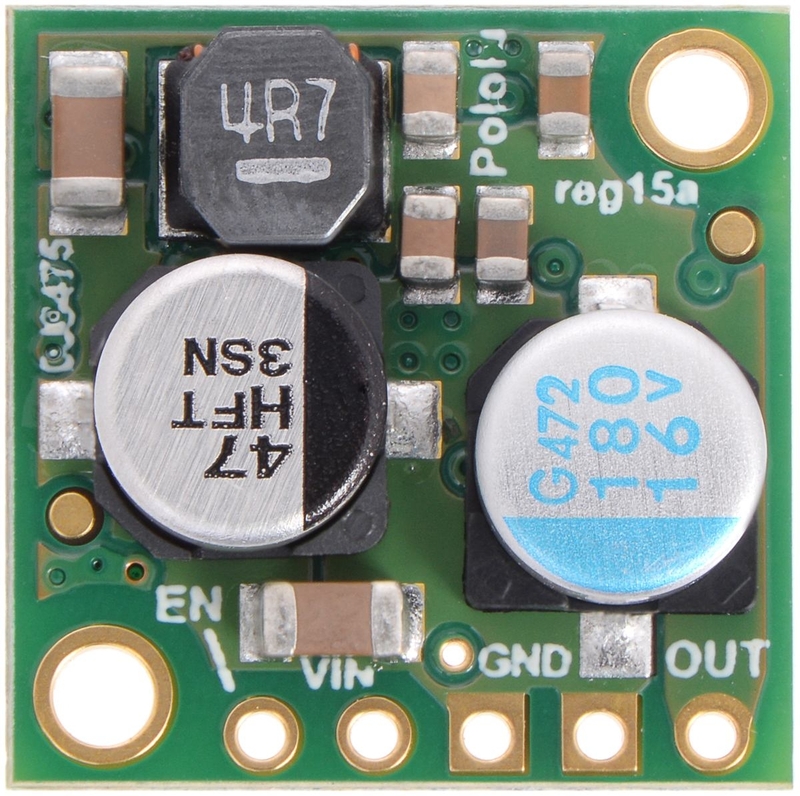 This small synchronous switching step-down (or buck) regulator takes an input voltage of up to 38 V and efficiently reduces it to 3.3 V. The board measures only 0.7" × 0.7", but it allows a typical continuous output current of up to 2.5 A. 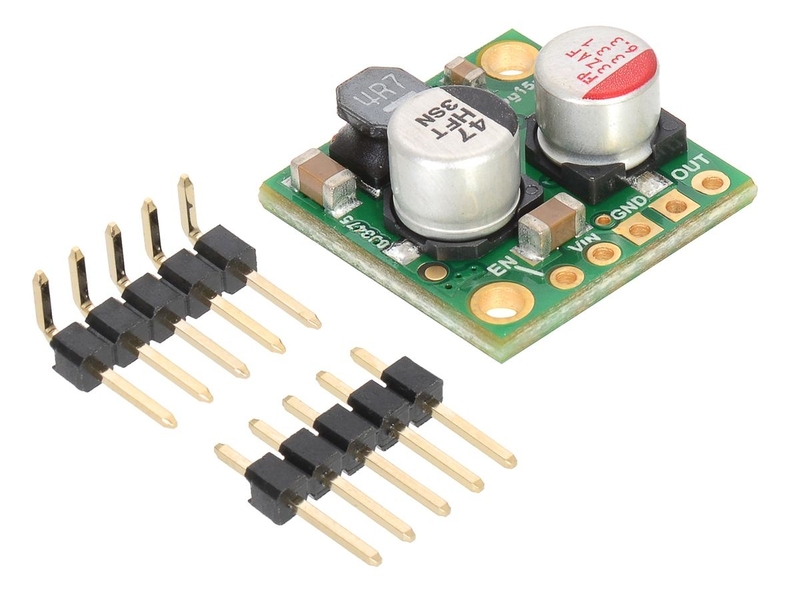 Typical efficiencies of 80% to 95% make this regulator well suited for powering moderate loads like sensors or small motors. 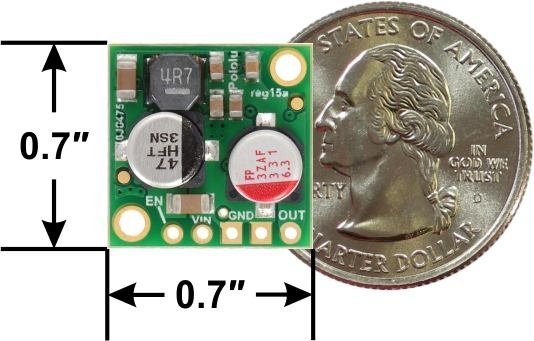 High efficiencies are maintained at light loads by dynamically changing the switching frequency, and an optional shutdown pin enables a low-power state with a current draw of a few hundred microamps.